Over 37 million U.S. consumers plan to switch or are considering switching banks within the next year. This presents an incredible opportunity for leading banks to attract new customers who aren't satisfied with their primary bank. 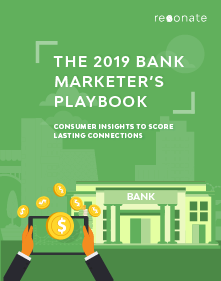 Deep consumer insights empower bank marketers to understand their customers and prospects beyond surface-level demographics and reveals what they really want from their banking experience. The way consumers manage their money has evolved drastically in the last decade and banks have led much of the industry’s innovation with new products and services. But with new competitors entering the picture and consumer banking preferences continuing to change, banks will need a new level of innovation to retain current customers and attract new customers. Download your copy now to get inspiration for your next strategic play!